LATEST UPDATE dated 12.04.2019 : Good News !! 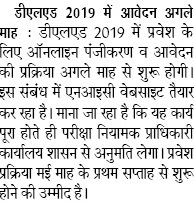 Schedule for UP D.El.Ed 2019 Admission will issue soon. NIC is preparing website for btc 2019 admissions for more than 2 Lac Seats. Read full news from Image below..
UP BTC 2019 Online Registration can be started in April/ May, 2019 (Afternoon). Notification will release shortly. counseling will conduct in June, 2019. 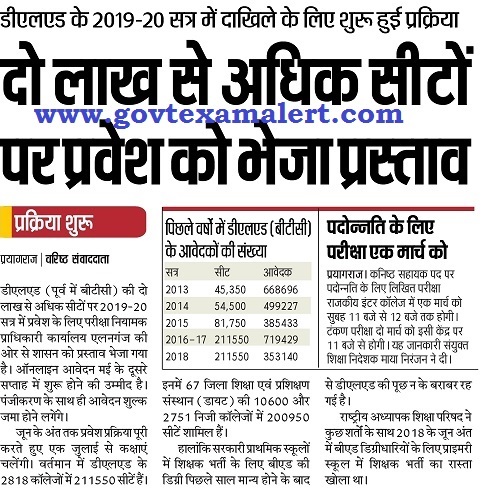 Check Official UP D.El.Ed 2019 Online Application Dates Notice & Apply Online from the link below………..
UP Exam Regulatory Authority has made some changes in Educational Qualification. Now 3 year Diploam Course will be treated as equivalent to 12th/ Intermediate Exam. Read Full News & Details UP D.El.Ed 2018 Admission Schedule below…..
UP D.El.Ed 2019 New Counseling Process News !! 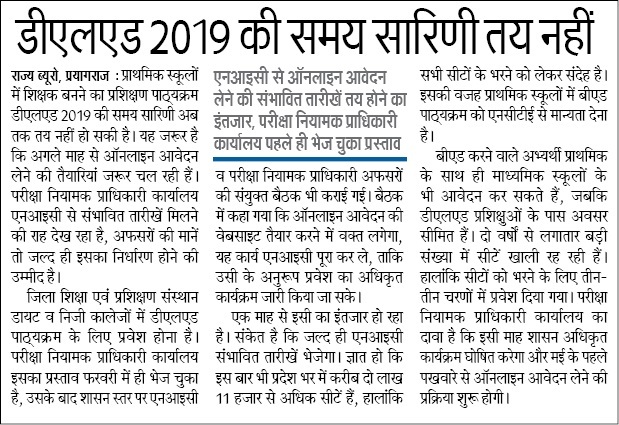 UP Exam Regulatory Authority has made some Important Changes for D.El.Ed 2019 Counseling. These changes are about allottment letter, choice locking etc. Check UP D.El.Ed New Counseling Process from link given below..
UP D.El.Ed 2019 No. of Seats :- Under BTC (D.El.Ed) 2018, there will be Admission on 10600 Seats of DIET’s & 200950 Seats Private BTC Colleges. Thus under D.El.Ed 2018, total admission will be on 211550 seats. There are 2816 Colleges for D.El.Ed Course. UP D.El.Ed 2018 Seats (Increased) : For Session 2018-19 Private College will increase to 2979 to 1557. So Admission will be on 1,59,450 Seats, Earlier No. of Seats were 81600 (71100 Private & 10500 Seats of 63 DIETs). Age Limit for UP BTC (D.El.Ed) (As on 01 July 2018) : To Apply for BTC (D.El.Ed) 2018 Training, Candidates Age Should Have Min. 18 Years and Maximum 35 Years. For General : 18-35 Years. For OBC/ SC/ ST : 18-40 Years. For Physical Handicapped : 18-50 Years. NOTE : for D.El.Ed 2018 session, only those candidates are applicable who attain 18 years of Age on 01.01.2018. For Application of D.El.Ed 2019 Admission, Candidates must have passed 10th & 12th from Madhyamik Shiksha Parishad, UP OR CBSE. Candidate should have 50% Marks in Graduation. For More Details Download Official Notification. Application Fee : For D.El.Ed 2019 Course, SC/ ST Candidates have to pay Fee Rs. 200/- while General/ OBC Candidates have to Pay Fee Rs. 400/-. Application Fee can be submit in Form of E-Challan/ Internet Banking/ Debit Card/ Credit Card. Fee will be submitted from Next Day of Registration. BTC Course will be Replaced by D.El.Ed Course. So For Teaching in Primary & Upper Primary Schools, D.El.Ed is necessary. Candidates have to give choice of three Districts. Online Application will start in April/ May, 2019. HOW TO APPLY : UP BTC D.El.Ed Aspirants can apply for this Course under Online Mode only. No other mode of Application will be accepted. Online Application Link will be available on the Official Website of UP Basic Education Board (http://upbasiceduboard.gov.in/). Online Applications will be started in May, 2019. Apply Online from the Links Available Here…. UP BTC D.El.Ed Aspirants can leave their Queries related to Online Counseling. We will make a Full Try to Solve all of your query. Sir btc ka form kb tk aayega please humko suchana kar dena our . 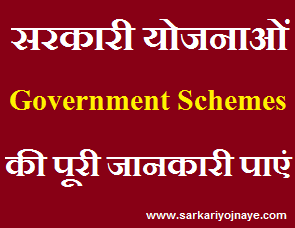 12th equivalent students of diploma can apply d.led form. Other state candidates will be apply for BTC addmision. If yes then please in for me process. Har jgah May me show kr rha hai maim….